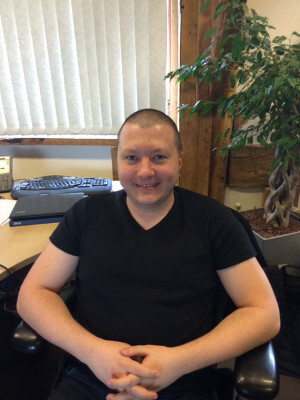 Dyalog is delighted to announce that, Nick Nickolov joined us full time from 1 January 2014. The 33-year-old Bulgarian not only adds one more nationality to Dyalog's already multi-national team, he also contributes another dozen years' worth of programming experience. He has now moved to the UK to be able to work at the Bramley office. Nick holds two degrees in Informatics: a BSc from Sofia University and an MSc from Rousse University, both in Bulgaria. Nick's passion for programming developed in his high school years. He participated in various programming contests and, eventually, the ACM International Collegiate Programming Contest (ICPC), a multi-tier, team-based, programming competition sponsored by IBM. During his career Nick has worked for companies ranging from large corporations such as SAP and Tumbleweed to garage start-ups, and he even went solo for a while. Although Java and web programming was what paid the bills most of the time, he has always been keen on experimenting with programming languages. So much so that, after his "archaeological discovery" (in his own words) of APL, he continued to spend a large part of his spare time mulling over an APL compiler that he wanted to make easily accessible as a web page. Nick is a happy Vim user and prefers to work under GNU/Linux. Nick comments: "Working for a programming language vendor is like being in the inner sanctum of software engineering. There's so much to learn, to ponder, to attempt. It's a well-known fact that, like a human language, a programming language can subtly alter one's thought patterns, allowing the incorporation and expansion of original ideas within new, more general cases. It opens new mental pathways that can help you to come up with previously-inexpressible and unimaginable concepts. You never know what's beyond the language horizon until you get there – and that's fascinating, isn't it?" Oh and in case you wondered...Nick will continue working on his NGN APL project.